Summer vacation is almost here! Make the summer of 2015 the most memorable by checking out some of these top travel spots in Florida. Let the summer of 2015 be the best so far! Pack up that sun block and those warm shoes! As finals week comes to a close, Montclair State University students are either packing up their bags or getting ready to move ahead in the summer. School is almost out for the surrounding community and Montclair residents are starting to enjoy this warm weather. With the beginning of warm weather comes summer vacation for Montclair. With some popular destinations being Florida, California or any tropical getaway, many people are preparing their luggage and saying goodbye to good old Jersey at least for a little while. Upon interviewing a few people, I learned that the most popular place to go to for the summer is Florida. Being that Florida hasn’t been a state which I am familiar with, I decided to look up some attractions located in Florida. First on the summer list, is the famous Disney World. The famous Disney World, which gives people the chance to relive their childhood, is home to many attractions. 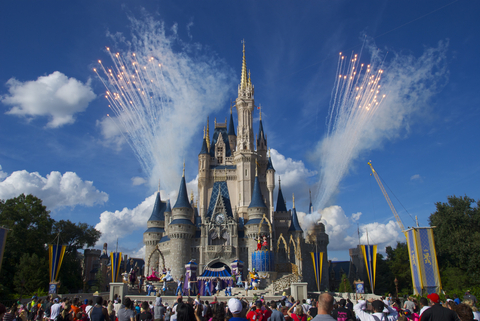 With six major theme parks rolled into one, Disney World has something to offer to everyone. Out of the six major theme parks, two of the most talked about are the Animal Kingdom and Disney’s Typhoon Lagoon water park. To get in touch with the natural side of life, Animal Kingdom is the place to be. The experience of getting up close with animals from all parts of the world can be an unforgettable experience. Just to name a few, you can see African lions, Rhinos, Western Lowland Gorillas and Cotton Top Tamarins. But if you’re just craving a day at the beach filled with magic, Disney’s Typhoon Lagoon is the place to be. Be ready with the sun block at hand! Next on the list of places to visit in Florida is the Kennedy Space Center. The Space Center is similar to New Jersey’s Liberty Science Center. They both give tourists an educational experience. The Space Center in Florida offers a wide variety of exciting attractions. One of the most famous attractions is the Shuttle Launch Experience. Feel like an actual astronaut and strap into your seats for this simulation of a lifetime! Astronauts have even stated that it is the closest thing to an actual take off! If you want to travel outside of this world, the Kennedy Space Center is the place to be! After coming back from a long day in space, you can grab lunch with an astronaut and discuss your travels! And for all you space fans out there, you can even see if you have what it takes to be an astronaut in the astronaut training experience (ATX). Created by veteran astronauts, you will be trained for half a day to see if you have what it takes to become an astronaut! If you need to plan this amazing get away, Montclair residents can easily go to Aries Travel Incorporated located on 340 Bloomfield Avenue in Montclair. Some other agencies in are Broad Vistas Travel (located on 2 Church Street) and Clairidge Travel Incorporated (located on 76 Church Street). Get started on all of your summer travel plans!